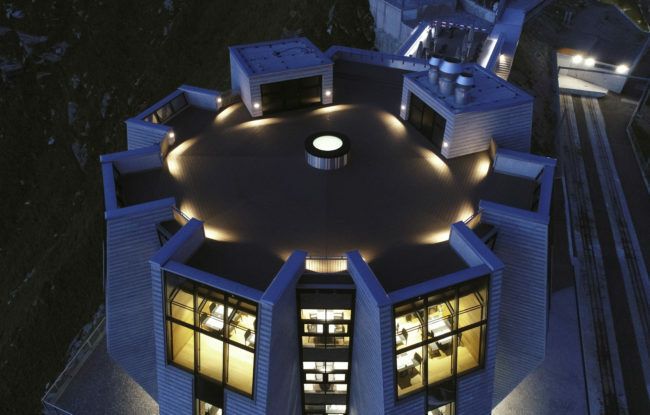 A mountain refuge/restaurant designed by Mario Botta was built at an altitude of 1,700 metres on the summit of Mount Generoso (in the Ticino canton): Fiore di Pietra (Stone Flower), on the rocky mountainside, houses two restaurants and offers a breathtaking panoramic view all around it. Who was in charge of the project? 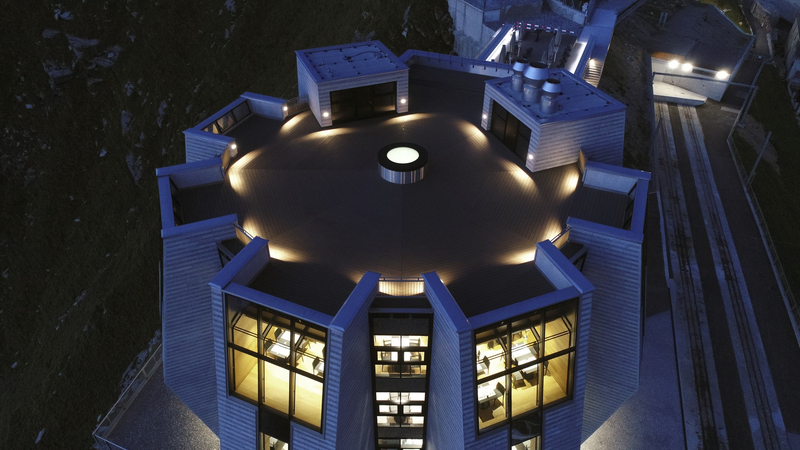 There were many professionals involved in it: world-famous architect Mario Botta designed not only the imposing building, but also the layout of the interiors. 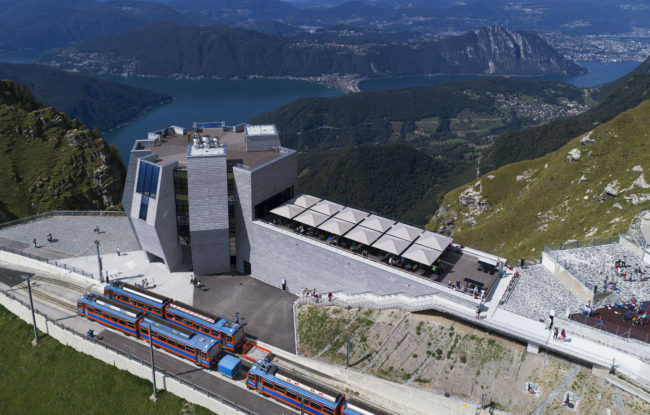 Engineering firm Brenni Engineering AG was instead responsible for the static project, whereas Marzio Giorgetti Architetti SA coordinated and managed the works on site, which were conducted under logistically challenging circumstances. With regard to the restaurants, FIP Studio Fischli SA developed the culinary concept and designed the business and production premises. 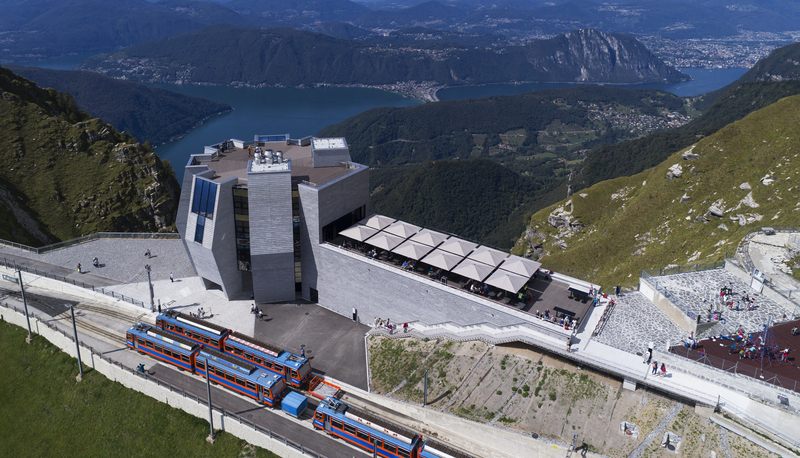 This imposing building fits in perfectly with the natural surroundings: just like the mountain on which it rests, Fiore di Pietra is made of reinforced concrete and clad in grey stone masonry with alternating smooth and split strips. What was Woodn’s role? 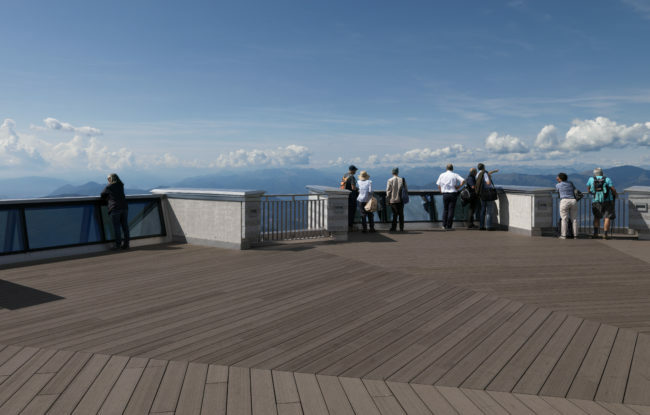 For this project, there was the need to find a product suitable for outdoor use that would reflect the beauty and scent of wood, as well as being dimensionally stable and requiring low maintenance. 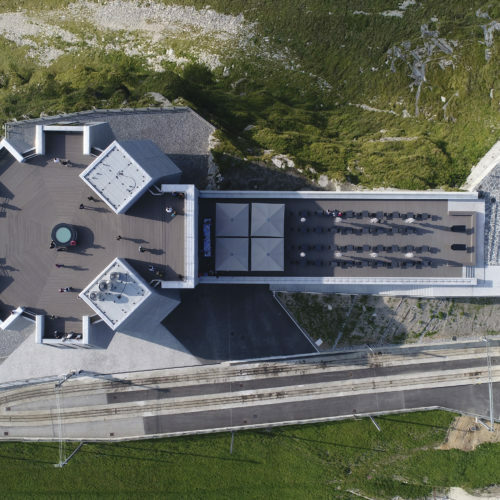 This is why the Greenwood deck was the best solution for Fiore di Pietra: indeed, raised flooring with aluminium struts and 50 cm high feet was chosen, covering an area of 800 square metres with slats cut to size to create an octagonal plan. Moreover, this product is highly resistant to ageing, weathering and the continuous traffic of pedestrians who visit the building every day.